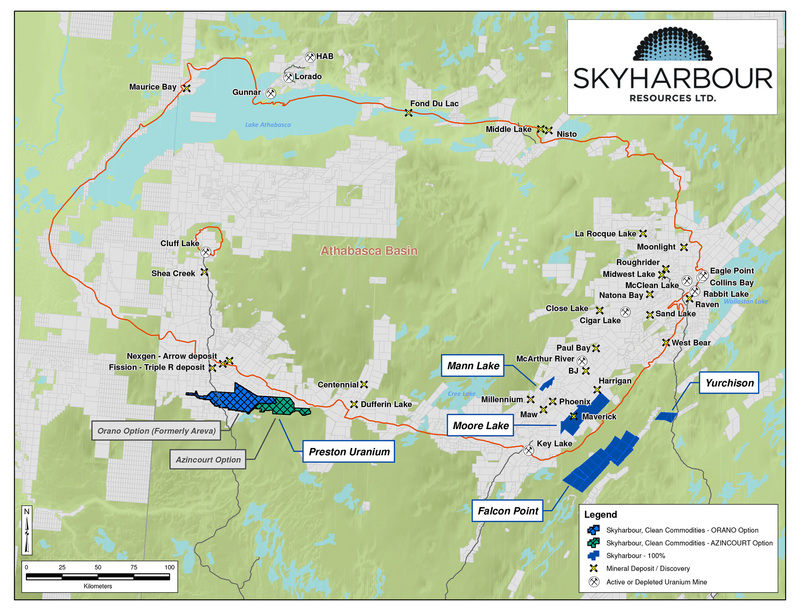 VANCOUVER, BRITISH COLUMBIA--(Marketwired - March 28, 2017) - Skyharbour Resources Ltd. (TSX VENTURE:SYH)(OTCQB:SYHBF)(FRANKFURT:SC1P) (the "Company") announces that it has arranged a non-brokered private placement of 1,000,000 units of the Company (the "Units") at a price of CAD $0.50 per Unit as well as 2,500,000 flow-through shares (the "FT Shares") at a price of CAD $0.60 per FT Share, for combined total gross proceeds of CAD $2,000,000. Each Unit purchased will include one common share as well as one-half of a common share purchase warrant ("Warrant"). Each whole Warrant will entitle the holder to purchase one additional common share for two (2) years at a price of CAD $0.75 per common share. The Company intends to utilize the proceeds from this private placement for exploration and general working capital purposes. The private placement is subject to TSX Venture Exchange approval, and all securities are subject to a four-month hold period. Finders' fees will be payable in connection with the private placement, all in accordance with the policies of the TSX Venture Exchange.